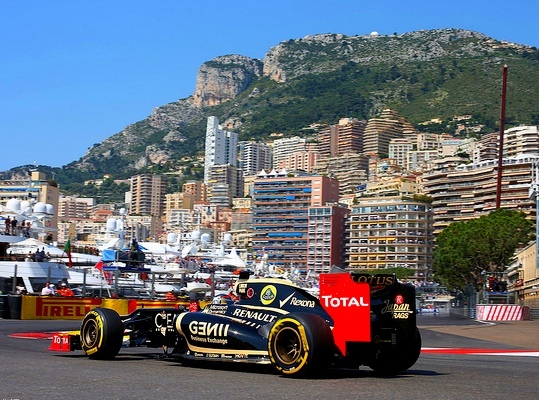 Monaco Grand Prix is the most prestigious stage of the only Formula 1 that takes place in the city streets. Racing track amounts to about 260 km – 78 laps that are annually covered by the pilots in their racing cars. The average speed is virtually 155 km/h. However, the main highlight of the track is Monte Carlo viewers and guests, who watch the passing racing cars right from their windows and apartment terraces. So, if you are tired of the boring routine and feel the need for adrenalin and lots of impressions, then you are bound to visit Monaco Grand Prix. Our experts will not only take you to the venue, but will also find the most comfortable spot for you to view the race from. Many people think that spectator stands are the most convenient place for watching the race. Grandazur Company breaks stereotypes and offers you a better alternative, namely VIP terraces in Monaco: Beau Rivage Terrace, Ermanno Palace Terrace, Les Caravelles Terrace, Heracles Terrace, Le Shangri-La Terrace, Le Panorama Terrace, Le Metropole Terrace, etc. If you want to watch Monte Carlo Formula 1 in the more cheerful and natural atmosphere, then viewing a race on-board private luxury yachts in Monaco port is the best option for you. Great atmosphere, champagne and music will leave you under the best impressions from Monaco Formula 1 viewing. And if you are looking for something really special, you can become a participant of the Formula 1 practice race. Training takes place on Circuit du VAR track, where pilots of the French team AGS usually practise. You will be provided with racing suit and full equipment. Experienced instructors will explain you the peculiarities of the track and racing car driving regulations, take you for excursion to the AGS Formula 1 workshop, practise pit-stops with you and even let you ride the famous Monaco Grand Prix track on your own. Formula Opel Lotus racing car will accompany you during 5-8 laps of the adrenalin rush. After all, you will head to a ceremonial banquet where you will be presented with diploma and a gift box. Our team is sure that you will remember such an event for a very long time! You don’t get the opportunity to visit Monaco Formula 1 and, moreover, turn into a real driver every day! Once you fill out a form, you are half way there. Please fill out a form indicating all your requests. Once we receive your application, we will contact you as soon as possible using the contact details you provided.